Sir, — Lord Carlile’s report of his review of the handling by the Church of England of the claim by “Carol” that she was sexually abused by the late Bishop George Bell (News, 15 December) is devastating in its criticisms of the Core Group that agreed the settlement with the claimant (involving the payment of £16,800 damages plus £15,000 costs). Utterly demolishing the claim (made in the statement announcing the settlement on 22 October 2015) that “the settlement followed a thorough pre-litigation process,” he shows that it was anything but “thorough”. Moreover, the statement disingenuously claimed that this included the commissioning of expert independent reports “none of [which] found any reason to doubt the veracity of the claim”. Although, as he is careful to point out, Lord Carlile’s terms of reference did not include making a finding as to the truth or otherwise of Carol’s claim, the extracts that he publishes from the report of Professor Maden (commissioned by the Core Group), far from showing no reason to doubt Carol’s claim, give every reason to doubt it. The obvious conclusion (or it should have been obvious to the bishops who commented publicly on the Carlile report) ought to be that if the investigative process was so fundamentally flawed, any finding, explicit or implicit, that Bell committed the alleged abuse cannot stand, with the consequence that the important presumption of innocence (for some reason, pejoratively described as “emotive” by the Bishop of Chichester in his public statement) applies, in the same way as it would apply to a defendant whose criminal conviction was quashed by the Court of Appeal on the basis of a finding that he had not had a fair trial. According to the General Synod timetable issued on 14 December (the day before publication of the Carlile report), “Safeguarding” is to be the subject of a “Presentation under SO 107 — with Q&A” on the morning of Saturday 10 February. In the light of Lord Carlile’s report, that is not good enough. Time must be found for a proper debate when the issues arising from the report, and its implications for the Church and the National Safeguarding Team, can be properly discussed. 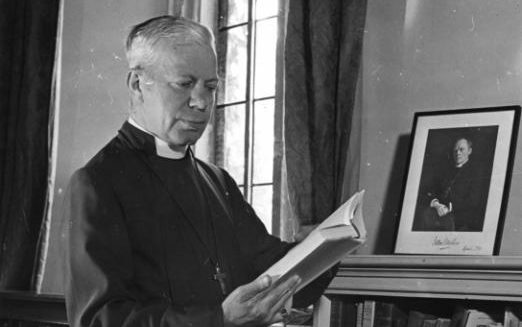 Sir, — Shakespeare had Mark Antony say of Caesar, “The evil that men do lives after them, The good is oft interrèd with their bones.” Comments from the Archbishop of Canterbury and the current Bishop of Chichester ensure that this is also shamefully applied to Bishop Bell. It also raises another important point, which seems to have been overlooked. I have read Lord Carlile’s report, and the Annexes thereto, and, in the light of the botched inquiries of the Core Group (I cannot call them incomplete), it seems that, if Bishop Bell is innocent, as circumstances suggest, and if “Carol” is truthful, as the Core Group assume them to be, then clearly there must be somebody who has escaped any consequence of his actions. The comments from the Archbishop of Canterbury and the current Bishop of Chichester render it imperative that a full independent investigation is urgently but thoroughly undertaken. That tired cliché “Lessons learned” is too often an excuse for little further action. In justice to Bishop Bell, this must not happen. This entry was posted in Bishop George Bell and tagged "emotive", "What ought to happen after the Carlile report", Alan F. Jesson, Archbishop of Canterbury Justin Welby, Caesar, Church Times, Core Group, David Lamming, General Synod, George Bell Bishop of Chichester, Lord Carlile, Mark Antony, Presumption of Innocence, Rt Rev Martin Warner Bishop of Chichester, Safeguarding, Shakespeare, SO 107 on January 5, 2018 by richardwsymonds37.